Translation: Ayano Yamada Vitra CEO Rolf Fehlbaum began collecting the furniture of designers who had influenced the company’s development, such as Charles and Ray Eames, George Nelson, Alvar Aalto, and Jean Prouvé. As the collection grew, so did the desire for an architectural venue in which the objects could be displayed. Back in 1986, Fehlbaum developed the concept for a design museum and in 1987 contacted Frank O. Gehry as the architect for the planned museum building. 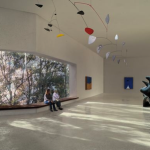 That same year, Fehlbaum met the later director of the museum Alexander von Vegesack through Ray Eames. Together Fehlbaum and von Vegesack developed the idea of a publicly operating museum from the original idea of a closedprivate collection. The Museum opened on November 3, 1989, and pictures of Frank O. Gehry’s unconventional building – his first work in Europe – circled the globe. Today, the Vitra Design Museum is internationally active as a cultural institution that has made a major contribution to the research and popular dissemination of design. The Museum presents a broad spectrum of topics on design and culture, with a special emphasis on furniture and interior design. Its activities encompass the production of exhibitions, workshops, publications, and museum products, and the maintenance of an extensive collection, an archive, and a research library. The travelling exhibitions of the Vitra Design Museum are shown at renowned partner institutions around the world. 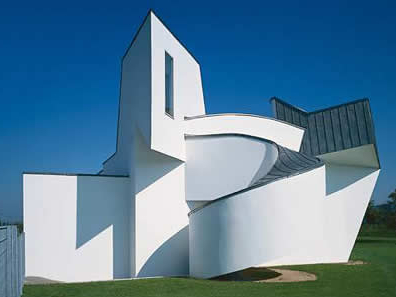 With regard to its independence and range of topics, the Vitra Design Museum is comparable to a public museum. From a financial standpoint, however, it is largely self-sufficient. Its partnership with the Vitra corporation consists of a basic annual supplement to the Museum budget, the use of Vitra architecture, and organisational co-operation. ※The museum shop and the cafè have the same opening hours as the museum.